!! Join ShopCore's Bracket Battle !! Battle Hunger. Give Hope. Change Lives. 1 in 6 children do not know when their next meal is coming. At ShopCore, we believe this is unacceptable. 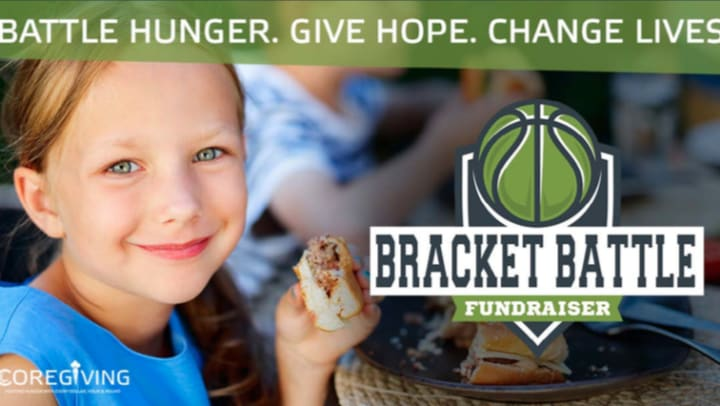 Help us fight childhood hunger by joining our 2nd Annual Bracket Battle competition. Brackets are open from now until March 21. Game on!! You can donate to this noble cause from now until April 8. Your donation no matter how big or small is greatly appreciated. It’s time to make a difference. Help ShopCore Properties reach our goal of raising $75,000 and providing more than 250,000 meals to those in need to fight childhood hunger during this year’s March Madness!